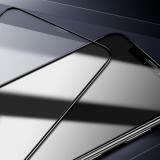 ET 6D Tempered Glass, which is specifically designed and has full protection for iPhone S, 8, 7, 6S, 6, is easy to apply with installation tools and instruction. Here comes 6D Tempered Glass for iPhone is designed to provide protection for iPhone touch screen area that could effectively protect your iPhone from drops and scratches made by keys, coins , knives or any other hard substances. High transparency preserves screen clarity and sensitivity to touch without delay reaction. Coated with waterproof clear layers, the glass protects against sweat and oil residue from fingerprints, keeping your phone screen pristine all day long. 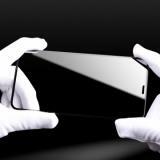 This is the easiest installation screen protector, no bubble at finish and package includes easy installation tools and instruction. 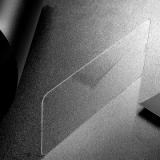 You will enjoy the fun of installing screen protector by yourself. • Protects from drops and scratches made by keys , coins ,or any other hard substances. 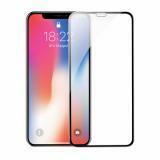 • Regarding the tempered film size, the tempered glass film is smaller than the actual screen of the mobile phone, it is specifically designed to prevent the white bubbles on the edges from being perfectly fitted to the mobile phone, not the quality of the product. • Quick link: Phone Charging Bracket. The employee at the said Big Box store offered free installation on all the phones. At the price they were charging I thought I'll have somebody with lots of experience doing this make sure it is done right. My daughters' phones were done okay, my wife's phone was "so-so", but my phone was done poorly. Lots of dust under the screen protector and what appeared to be two small creases. I asked the employee to do it over but he said I would have to pay for a new screen protector. I’m a fan of tempered glass screen protectors, I’ll never go back to another kind. These are quite good. I had no trouble putting one on my iPhone 8. The 2 pack I purchased came with alcohol wipes, stickers to help you line it up evenly if need be, and a soft cloth to help clean the screen beforehand and wipe any bubbles out after application. The sticker sheets also have one dedicated to picking up lint off the screen, which I found very helpful. I would definitely buy again if and when I needed more. My daughter's phone slipped out of her hand while sitting, so the phone fell about a foot from the ground. Amazingly, the screen protector didn't have a scratch, but the phone screen itself is cracked. So, the tempered glass works, but it doesn't really seem to protect the phone itself. Probably a design issue with the case purchased where the bumper didn't completely cover the glass. As I ordered one for my 5C phone and experienced a scratch on the screen for an unknown reason, the seller did replace it for free. If this screen remains scratch free for the remainder of my phone contract, I will upgrade it to 5 stars, as the company really was willing to work with me to replace the product that was scratched. This is honestly the best iPhone XR cover. I bought one from Walmart and it only covered the screen and looked weird. 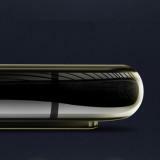 This one covers all the front part of the phone (edge to edge) and it is practically not visible because the edges are black like the phone. I will update with some pics if needed. Overall the product looks really nice and has a Good feel to the protector as well. I purchased the black protector and the chrome trim around the edge gives it a really unique look. I am still able to use my slim phone case as well. These are great. My only complaint about the iPhone 7 screen protectors is that the width is a little shy of the actual width of the LCD, but it doesn't interfere with the usability of the touch-screen. 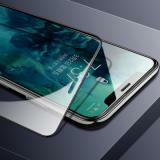 Supershieldz screen protectors always apply well, lay down flat and smooth, and become one with the phone, but are easily removed if necessary.